April Dahl focuses her practice primarily in tort litigation, including cases involving products liability, toxic tort, indoor air quality, chemical exposure, construction defect, premises liability, automobile and general liability matters. Ms. Dahl's clients range from small, privately held companies to Fortune 500 companies. She is a member of the national defense team for one of the firm's largest self-insured clients, requiring pro hac vice representation throughout the country. Ms. Dahl's construction practice includes the representation of manufacturers, general contractors, and trade contractors in complex property damage and personal injury cases. She has defended companies in construction matters in numerous jurisdictions nationwide. Since her transfer to the Ft. Lauderdale office, Ms. Dahl's construction practice has focused on the representation of manufacturers of window systems, waterproofing, and roofing materials. She also assists manufacturers and construction companies in pre-suit claims and investigations made pursuant to Florida's Construction Defects Statute, Chapter 558, Florida Statutes. Ms. Dahl is well versed in the Florida Building Code, with particular emphasis in the areas of wind resistance and water intrusion. Ms. Dahl joined Hinshaw & Culbertson LLP in May 2004. Previously she was a law clerk with the firm. She moved to Hinshaw’s Ft. Lauderdale, Florida office in August 2010. 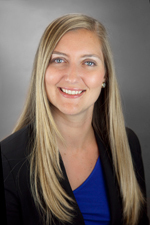 Prior to joining Hinshaw, Ms. Dahl was a summer associate at Krupnick Campell Malone Busser Slama Hancock Liberman & McKee, P.A. in Ft. Lauderdale, Florida. She also worked as a summer intern in the Broward County State Attorney's Office. During law school, Ms. Dahl participated in Notre Dame Law School’s London Summer Program.